Multipart music as a specific mode of musical thinking, expressive behaviour and sound. Concepts and viewpoints on multipart music and its perception are often questioned and redefined in the scholarly research. The manifold worldviews of the resource persons, as holders and presenters of a tradition with their specific musical and cultural aesthetics and vocabularies as well as particularities of performance practices, identity policies, the social and emotional dimensions as specific bodies of knowledge embedded in power relations make the matter more complex. 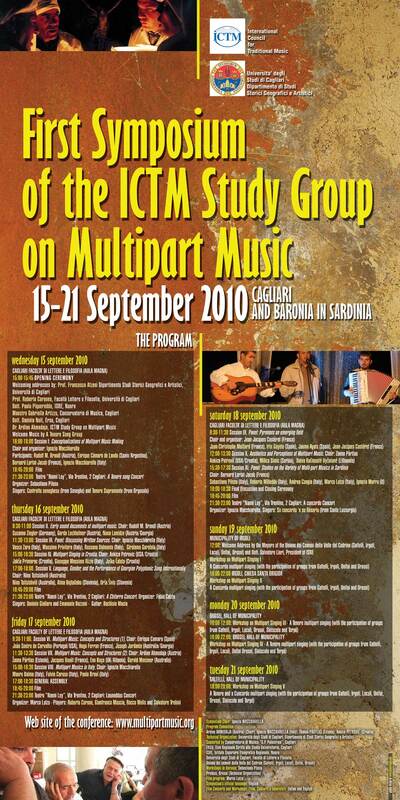 The aim of the meeting is to discuss and formulate recurrent features of multipart music practices, with the emphasis on their specificity towards other kinds of musical practices.